Oak and pine are two different types of trees. The terms are also used to indicate wood obtained from their respective trees. There are various different types of species for each type of tree and have various different types of wood available. An oak is a tree in the genus Quercus. It has over 600 species. Oaks have spirally arranged leaves with lobed margins. Some species have serrated leaves or leaves with smooth margins. The leaves of the oak tree tend to fall off in spring. Oaks bear fruits, known as acorns. Pines are trees in the genus Pinus. There are a about 115 species of pine. Pines have four types of leaf: Seed leaves, Juvenile leaves, Scale leaves, and Needles. They have two distinct cones on the trees, male and female. The male cones are small, typically 1–5 cm long, and are only present usually in spring. The female cones are 3–60 cm long at maturity; however maturity can take up to 1.5 to 3 years. As woods, oaks are considered to be a hardwood, heavy, long lasting and expensive. This is mainly because oaks take a long time to grow; hence quantity or oak is not readily available in abundance. 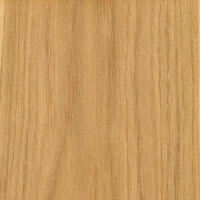 Oak is also known for its strength and durability, as well as a high resistance to moisture and humidity. Hence, it is quite popular for furniture, such as dining tables and chairs, as its can survive long and hard use. As it is heavy, it does not look well with painted, so staining is the ideal choice for oak. Oaks are well known for their darker texture and their grain pattern. Due to its heavy grain, oak might feel more textural. The grain pattern can garner a lot of attention, and may look best in a simpler room. However, the grain pattern may be too bold for some, especially for ones seeking a classy chic finish. Oaks come in different varieties, such as red oak, which has a dark reddish-brown color and an open grain, and white oak, which is much lighter with a tight, even grain pattern. Pines are considered to be a softwood, light weight and less expensive. Due to its light weight, pine is quite popular for bedroom furniture, such as wardrobes, beds, as it is much easier to move this furniture around. Pine is also known to be stiff and sturdy and resistant to shock, but it does wear down over time, especially when exposed to heavy use. It has a more rustic look and tends to show off natural characteristics like knots and other flaws. Hence, it is much better for an antique look. However, pine will always be smooth to touch. Pine is also more porous; hence it absorbs paints well. 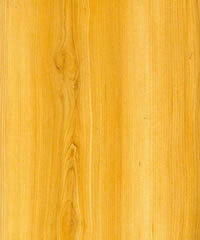 However, pine does not absorb stains evenly, so a natural look or painted look is a better option for pine. Difference varieties of pine, include yellow pine, which may have a yellow or red color, as well as a fairly deep grain; white pine tends to be pale with a barely visible grain; and red pine, which is the darkest of the pines and has the heaviest grain.